Why are Young Professionals Moving to Northeast Ohio? 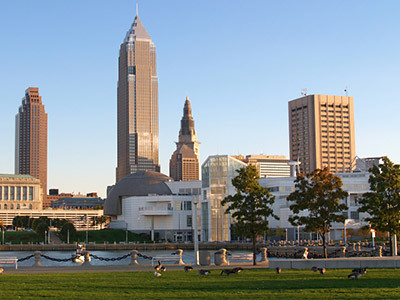 Lately, a number of young professionals have been moving to Cleveland, Ohio. There are a number of reasons that contribute to the massive migration. The rapid development is probably the most important of all. When you come to Cleveland, you will notice that everyone is well employed as the unemployment rate has fallen greatly in the last two years. There has been a considerable rise in jobs in Ohio. During 2011-2012, over 10,000 jobs were added to the industries functioning in downtown Cleveland. Talking about downtown, it is not only the central business district of the city of Cleveland but also Northeast Ohio. Since the early 1990s, commercial developments have been on the rise making downtown Cleveland the biggest downtown district in Ohio. Young Professionals find it easier to move to Cleveland because of its considerably affordable real estate. A few years ago, the demand for Ohio homesfor families fell greatly, as a result of which single family homes were high in demand. However, the recent rise in the demand for townhouses has made living in Ohioeasier for single individuals in Cleveland as one can rent a 650 sq. feet condominium starting from $450. Buying a house in Cleveland is a lot easier than many of the other states. Even though these condos may be placed in the suburbs, it is not a discouraging factor since over 37% of the Fortune 500 companies are located in the suburbs. Not only does it give a rise to employment opportunities, it has led to the opening of places such as Beachwood Place, Eton Square, Legacy Village and Crocker Park. There are numerous stores in all of these places which give you the feeling of living in downtown, the only difference being, it’s less crowded. Besides employment opportunities, a number of youngsters move to Cleveland for educational opportunities. The city has some of the nation’s best institutes located there. Case Western Reserve University was rated as the state’s best and 37th in the U.S in 2012 while John Carroll University is ranked 7th in the mid-west region. Since, most of the colleges and universities are located in the suburbs, the studying lot prefers to stay in those areas while the working class prefers downtown. In terms of Healthcare, Cleveland is one of the best places in the U.S because of the Cleveland Clinic. The clinic has over 10 regional hospitals in Northern Ohio and is rated as the nation’s 4th best hospital. Also, its medical research facility is the largest in the country encouraging medical students from all around the country to come here. From all that’s mentioned above, Cleveland may sound a little boring but that would be completely false as it is one of the most happening places. You can just pick an activity and make a move. The metroparks provide facilities such as canoeing, boating on Lake Erie, kayaking, etc. If you are a fan of sports, the Quicken Loans Area also known as The Q is the place to go for NBA, AHL or AFL matches. The multipurpose arena serves all these sports. For entertainment, you can enjoy a night at House of Blues or The Cleveland Orchestra. People relocate for various reasons. While, some relocate to cut down on their traveling time, some relocate to experience a change in the environment and some relocate to experience serenity. Whatever the reason maybe, we all relocate at some point of time and relocation would be a chaos-free procedure if one opts for the service of a real-estate professional. Often, people consult friends and family to find homes in a new place. However, they fail to understand that seeking professional assistance aides as a catalyst in securing the best property at an attractive price. With Ohio’s educational and business environment flourishing, many are developing an interest towards relocating to Ohio. Before planning relocation, there are various things one needs to consider; like financial resources, property condition, and even inclement weather. Although, the weather conditions of Ohio are unpredictable, one can choose the best home as per their taste and preferences by hiring a professional real-estate agent. Real-estate agents have a clear knowledge on the process of property investment, the legal contract procedure, tax laws and the insurance policies. Being skilled negotiators, the exclusive-buyer agent is the buyer’s advocate in designing a relocation strategy that befits the client’s needs, while getting the best deal for the client. When you choose the professional service of ConBro Buyers Brokerage, you get the benefit of having professional guidance and an agent that has your best interest at heart. The guided personalized approach will surely make the documentation and house-hunting procedure hassle-free. Real-estate agents spend most of their time studying the market and the local environment. Hence, they are able to guide their clients on making the right decisions. Local realtors regularly update themselves with the latest news and happenings in their area. They usually know the exact market price of their area and possess knowledge on properties that are available for renting and selling. First time-home-buyers should seek the assistance of professional real-estate services as they are skilled to buy and sell properties in a legal way. A realtor ensures that you are provided with research on the market, home inspection reports, community information and additional industry knowledge that isn’t available to the general public. Working with an exclusive buyer-agent goes beyond obtaining the best property at the best price. 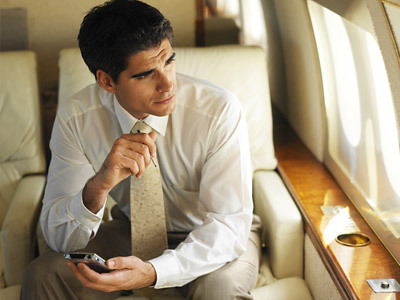 An agent updates his database regularly which keeps him in contact with prospective sellers and buyers. Most of the times, the realtors possess knowledge on the properties which are going on sale even before they hit the market. Therefore, before buying homes in Ohio, one surely needs to seek the assistance of professional realtors. The database collected by real-estate agents and their brokerages comprises of additional information which is not easily available to general public. By hiring the services of a real-estate agency, one can safely make transactions and buy their dream home without any hidden charges. Moreover, hiring a real-estate agent, cuts-down on the trauma and tension as someone else would be hunting for a home for you. They say big things come in small packages and we, at ConBro Buyers Brokerage close big deals at a fair fee, a fee paid by the listing brokerage’s seller and not the buyer. With dedicated agents, providing effective ways for buyers to feel safe and confident in their buying process, ConBro Buyers Brokerage puts the client first; which places them ahead of the competition. Well connected through roads that are connected to important cities, Ohio apartments and buildings are always on demand for sale. So, close a deal before anyone registers your dream home as theirs.